Spanning the top two floors of an old converted schoolhouse in the ever-so-quaint, tree-lined West Village, this stunner was a full gut renovation in which we reimagined every material used to achieve an organic modern aesthetic with industrial overtones as a nod to NYC history. 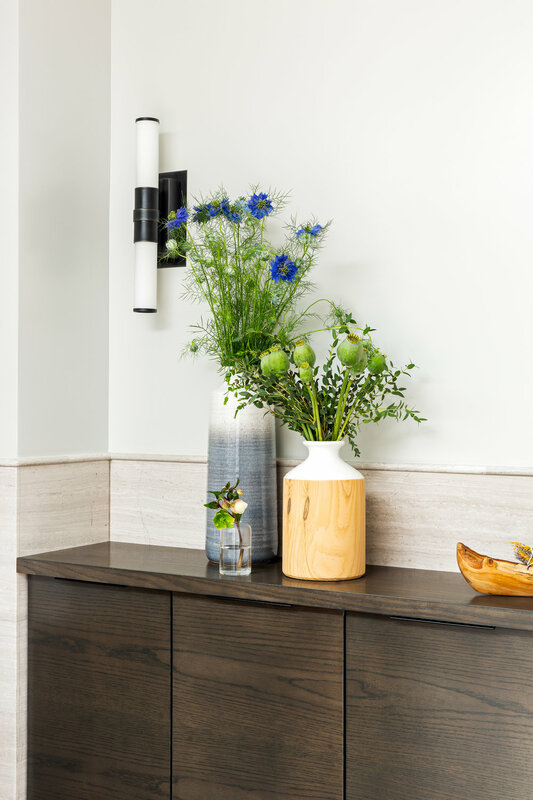 Beautiful hand selected 5” American walnut floors oiled by local family-run wood purveyors, LVWOOD, and hand-routed air vents using the same planks instantly evokes a warm, cozy vibe when you arrive home. You’re greeted by a sunshine washed open concept living & dining space overlooking your private patio with views of the Empire State Building and sunsets. 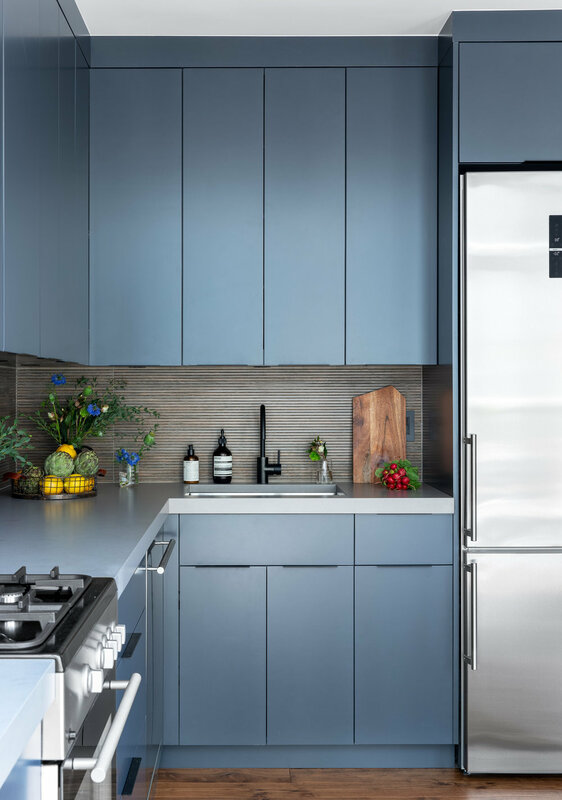 A modern kitchen with a 2” concrete build up countertop and custom cabinets finished in Westcott Navy are complemented by black Cedar & Moss pendants, Astra Walker faucet and steel hardware. Adjacent is a moody blues powder room showcasing custom walnut shelving from our friends at Soil & Oak and an Italian Pietra Grigio Marble vanity top. 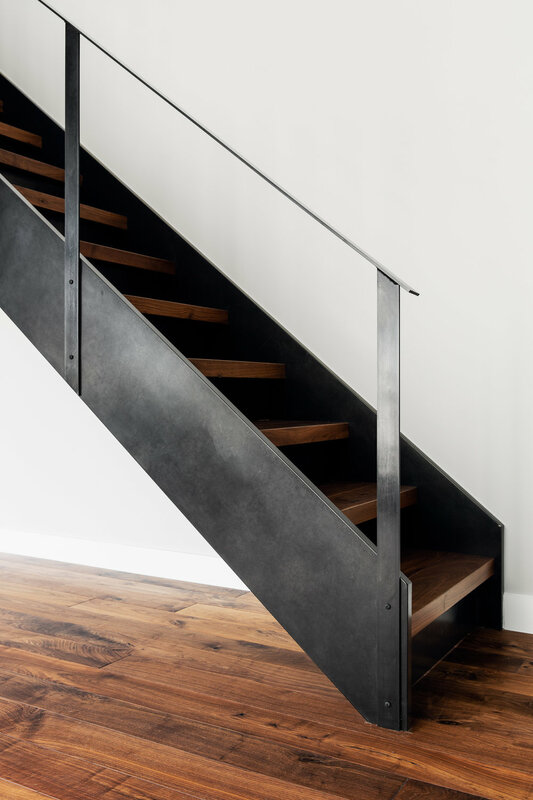 Custom powder coated steel work continues the theme throughout the duplex, with the stairs and fireplace making especially powerful statements and conversation pieces in your home. Upstairs house four custom closets and two bedrooms, each with an ensuite. 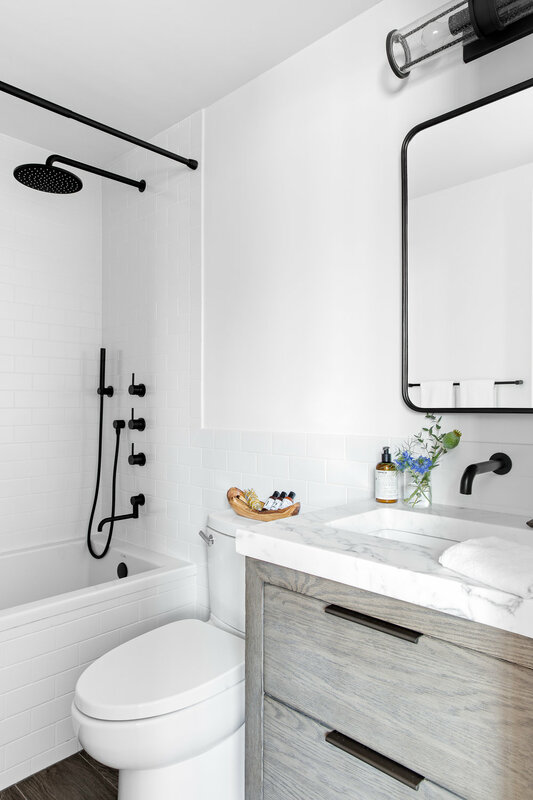 Enter the master bath through a steel barn door to find custom millwork for storage, his & hers sinks flanked in wood grain marble and black fixtures. 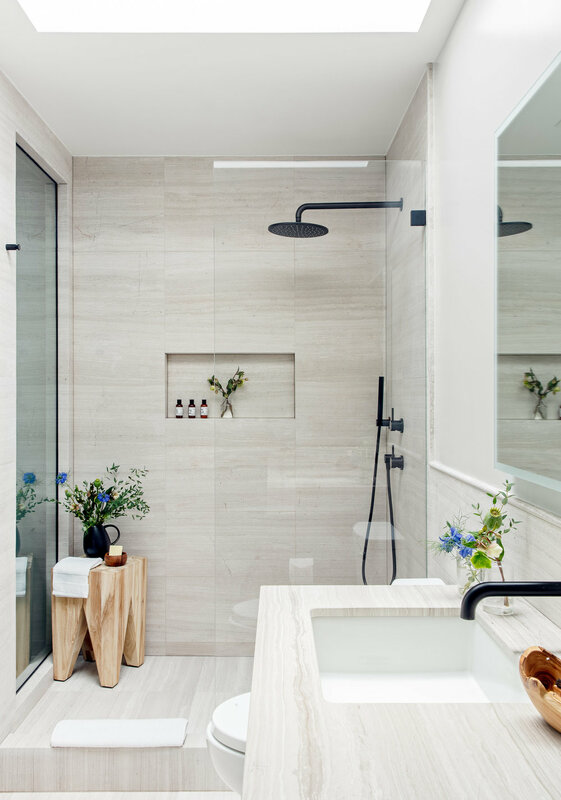 Step in your glass shower and you’ll find a floor to ceiling window overlooking the stairs below; flip a switch and your wish for privacy is granted. The guest bath features a 2” thick white statuario counter along with a weathered oak vanity and Astra Walker faucets. A drop-in bathtub from Waterworks cladded in the same wall tile gives the space a breath of new life. In another example of sustainably utilizing materials already in circulation, we converted the original fire escape door by cutting out the center and added repurposing glass from a tear-down factory.